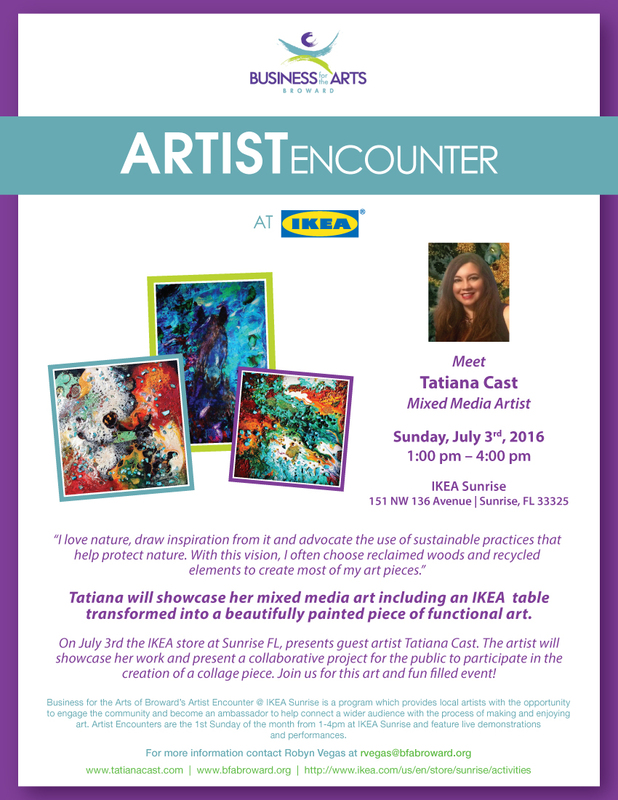 Join Us Sunday, July 3rd at IKEA Sunrise! Meet artist Tatiana Cast and participate in an interactive collaborative project to turn a table into a piece of functional art. From 1-4 pm Free activity for all ages. 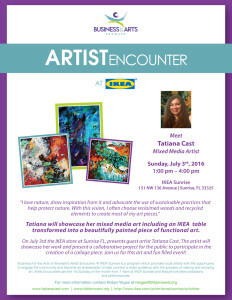 BBX Capital Foundation Supports Business for the Arts of Broward Artist Encounter @ IKEA with N!